Subtly sophisticated methods, including acupuncture and Classical Chinese herbal formulas, give your body's ecosystem a nudge in the direction towards better balance. Your body does the rest. We absolutely believe in your innate ability to heal. We work to support you every step of the way. We think of your health goals as a journey and will work with you to design the safest, gentlest and most enjoyable trip possible. From your very first appointment, we will get clear about what tools we're going to need in our bags and approximate how long this adventure is going to take. We will check in frequently about our progress and stay transparent about how effective this natural medicine will be for you. I've been going to the Local Healer since last year after a car accident caused me serious neck and arm pain. Bex is amazing and has helped me tremendously with her skill and knowledge of acupuncture and eastern healing. I have been to other places in the past, but Bex is by far the best. She never rushes through a session, and gives lots of attention to detail and goes above and beyond. If you are seeking a skilled, kind and knowledgeable acupuncturist, look no further! Bex is wonderful! I have been seeing her for 2 years now -after an ankle fracture and later a car accident. I don't know, what would I have done without her healing and enriching presence in my life. Every time I see her, just her welcoming "hello and her hugs" start a healing journey that is practiced with deep humanity and compassion. Bex has helped me reduce my severe back and neck pain and is always so attentive and responsive to my needs. Bex has also inspired me so much to have thoughts that pave my healing process with compassion and nurturing to myself. Thanks Bex for always being there. Over the years, I've seen a few acupuncturists in Portland, but none have compared to Bex and The Local Healer. Her wealth of knowledge and easy demeanor make for such a relaxing, pleasant, and healing treatment. Bex does her work with love and it shows; her warmth and friendliness are infectious. Acupuncture with Bex is a pillar of my self care and I highly recommend The Local Healer. Bex of the Local Healer is the most thorough, effective and thoughtful accupucturists I have ever worked with. She takes the time to get to know me and my body and customizes her care accordingly. She has significant diversity of modalities and is proficient in their application. Every visit is a pleasurable and effective experience. I can't speak highly enough of her practice. Bex is by far the best acupuncturist I have ever seen, and was able to actually explain how acupuncture concepts work in terms that I could easily understand. In the past, my acupuncturists have been vague at best, and while it seemed to be helpful... it was unclear what was really happening and why. Bex also has a way of compassionately analyzing you and quickly finding ways to help in a super personalized way. I have told all my friends that this is the place to go, and hopefully she still ends up having time on her schedule! Bex and Michelle are phenomenal healers. Prior to finding Bex, I saw 5 different acupuncturists (once a month) over 6 years to help with my migraines. Bex and Michelle are by far the most knowledgeable and skilled. Most importantly, Bex helped me with my migraines in a way that other acupuncturists have not been able to. I even managed to convince my SO to see Bex - he was a newbie to acupuncture prior to that and now, he won't go a month without it. I highly recommend The Local Healer! I adore Michelle! She's such a gentle, nurturing and effective healer. And the space she & Bex have created is so comforting. It's been a lovely experience and Michelle really goes the extra mile to make you feel taken care of and heard. I highly recommend her and The Local Healer. -Amanda B.
Bex is so welcoming and friendly! I've been treated by Bex half a dozen times. She is very knowledgeable, thorough, heartfelt, and calming. I always look forward to my treatments and go home feeling fabulous! I've been to a number of acupuncturists over the years and I highly recommend The Local Healer! -C.C. Bex was referred by my massage therapist and I am so happy she was! I have entered a whole new level of communication with my body thanks to Bex's care, teaching and treatment. It has been very fulfilling, and I am nothing but delighted with our work and my healing. I have had the distinct pleasure of referring people to her multiple times already and it has only been a month now that I have been at this. Wonderful experience all around. -Stacey T.
I met Bex through my Kung Fu teacher and was brand new to acupuncture. It was nothing short of wonderful. Bex was very thorough, gentle, and compassionate. It was also my first experience with cupping. It was very gentle, and wonderful. I have nothing but good things to say about Bex and I can't wait to go back for my next session. -Kelly C.
Wonderful, loving, compassionate person, tons of knowledge about everything! I love her healing energy and her healing acupuncture treatments. I highly recommend The Local Healer! -Thuy B.
Bex is one of the best holistic healthcare providers I've met that honors the totality of human body, mind, emotion, and spirit. She's well read, well educated, super skilled, and full of heart. Her work emulates all of that. Plus, she's an amazing mama. Highly recommended! -Melanie E.
Bex is definitely a healer. She is extremely knowledgeable, professional, kind, nurturing and generally wonderful person to work with. I enjoy that she gives me as little or as much information as I want about the process. I highly recommend Bex for any of your acupuncture and health needs! -Hilary S.
Amazing! Bex is simply amazing! Her acupuncture treatments are right on and leave you relaxed and clear. I highly recommend her for any issue or pain you are working through. -Abigail B.
Becky did work in both of my pregnancies. Her care is attentive and thoughtful, and her knowledge is encyclopedic. She’s a wonderful practitioner and I would heartily recommend her practice to anyone. -Amanda G.
In a one-size-fits-all medical culture, Bex stands out by using the power of critical thinking to deduce answers that might have remained buried otherwise. Her highly personalized acupuncture sessions left me feeling elated and hopeful. Her diet and lifestyle recommendations were thoughtful, easy to follow and once implemented, very helpful! In a perfect world, everyone would have a health care provider with a gift for listening and holistically interpreting like Bex. I cannot recommend her enough. -Hannah H.
I worked with Bex throughout my first pregnancy and after my daughter was born. She always made herself available to answer my questions and to help resolve any concerns that came up. Bex provided much needed, beneficial insight for me through my postpartum transition. She taught me some amazing energy exercises and also recommended and ordered top quality herbs to help my body heal. The work Bex does extends beyond healing, as she offers friendship, compassion and genuine connection. Thank you Bex! -Lindy K.
Consulting Bex was the best thing I could have done for myself. I have worked with many naturopaths who had recommended diet changes but they were never any help when it came to guiding me through the challenge of changing lifelong food habits. When I had to make diet changes for my health this time I consulted Bex. She gave me thorough guidance, meal plans and resources looking at my particular challenges of being a mother of three and a student to where I was excited to make these changes and have been successful. I will always be grateful to her. -Rebecca Y.
I have relied on Bex for my healthcare needs for over 10 years. She has helped me heal from a wide variety of aliments; everything from emotional issues to broken bones to everyday health. I trust her health advice above anyone else. When it comes to health and healing Bex has a true gift. -Ananda O.
Bex has an amazing personality that puts you at ease. She is exceptionally knowledgeable in her field and always goes above and beyond in her treatments. She takes the time to educate you and allows you to understand your body in new ways. There is an incredible level of skill and understanding that I have never seen in an acupuncturist before. I cannot thank her enough for her guidance and healing. -Ashly L.
The clinic is modest on the outside, simple and serene on the inside. I enter disconnected from my body and my mind and I always leave feeling rested, grounded and whole again. Bex has a beautiful way about her; she is thoughtful, easy going and has a wonderful sense of humor. Bex gives you just the right amount information and background so that you understand the what's happening and she knows just when to let the conversation wane so that you can drift into blissful acculand:) I would recommend Bex to anyone looking for long term health solutions! -Hilary S.
"Treating patients for many years has taught me that the body is truly a temple for something un-explainable in us, call it soul or spirit or whatever we will. We are more than the material parts of the cells that make us up. Healing must occur on every part of our being: the physical, the emotional and the mental/spiritual. We do ourselves a disservice when we fail to honor all of these pieces. True healing affects us on every level, it really is holistic in that way." "Balance is one of the core principles of Chinese Medicine, but we live in a world where balance is difficult to maintain. Our bodies, minds and spirits are intimately connected facets of the same whole, and an imbalance in one can create dysfunction in the others. By helping patients to regain their equilibrium, Chinese medicine can treat a broad range of issues. When we are in balance, we look and feel our best and are able to live up to our true potential." Bex Groebner, L.Ac and Cybele Phillips, L.Ac are excited to take you on a mini journey through the anatomy and physiology of your body and how it relates to the physiology of the planet. Ancient Chinese physicians saw the human being as an integral part of the Earth-system and it’s seasonal cycles. They used the philosophy of Yin and Yang duality to explain the fluctuations occurring throughout the year, as spring turned to summer, then to fall and finally to winter. They broke this cycle up into five sections and used these to relate the body (microcosm) to the planet (macrocosm.) Our bodies are living ecosystems inside of the greatest ecosystem in the Universe. Bex and Cybele have chosen a Chinese organ system for each month and will take you through the workings of that system, how we can see it represented in the Earth, the flavors and foods that support it and finally, allow you to experience a general group acupuncture treatment that supports it. Each session meets four times per month, with a different focus each week. Booking: Students can book through our website here. When: Monthly sessions, Thursdays: 5:30-6:45pm (see schedule below). Week 1: Bex Groebner, L.Ac provides an introduction to Ancient medical science (Yin-Yang, Three Treasures and Five Elements) and a lecture on the Western anatomy and physiology of the organ system we are working with. We end the session with a yoga posture, Taiji posture or meditation to integrate the body into the process of knowing. 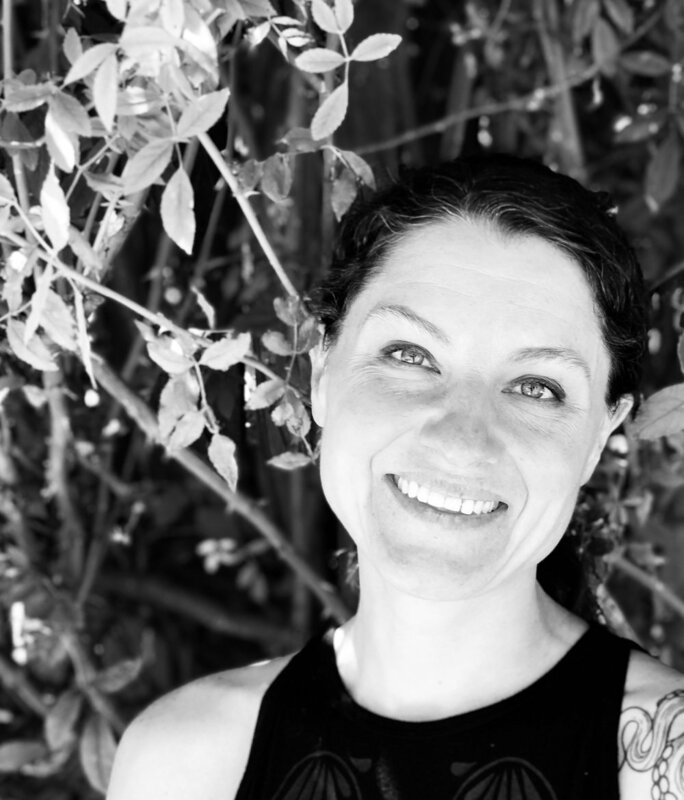 Week 2: Cybele Phillips, L.Ac will expand on the month’s Chinese medicine (CM) organ system, its categorization within the ancient science system and how we can see the gesture of that organ in the functional workings of the planet we inhabit. What are the holistic factors for a shared balanced between our body and the Earth? Week 3: A focus on nutrition and lifestyle strategies around the CM organ system. The class will include a self-care technique for dealing with a mild imbalance in the system (cupping, guasha-scraping, massage, aromatherapy, kinesiotaping, moxibustion, etc.) We will have recipes that benefit some aspect of the organ system and respect the Earth’s seasonal bounty and students will have a tasting opportunity. Week 4: Students will setup on the floor with blankets and bolsters and will get to experience a generalized acupuncture treatment (please make sure you’ve signed the waiver!) for balancing the organ system of the month. We will spend a few minutes inserting needles and then allow students to float off to “Acu-Land” in a personal discovery of the organ system we are working with. We will end the class with a closing circle in which students are welcome to share their experiences, thoughts and ideas and any feedback they have regarding any aspect of the course. Sign up with your email address to receive our latest writings and monthly newsletter. We respect your privacy and will never give your information out.